As affiliates ourselves, we know how it’s hard to find a simple WordPress theme that focuses on product. Even when you find a good theme, it’s filled with redundant features that either prevents optimizability for search engines or slows down your page load time due to unnecessary JS & CSS files, which eventually affect your SEO and user experience. 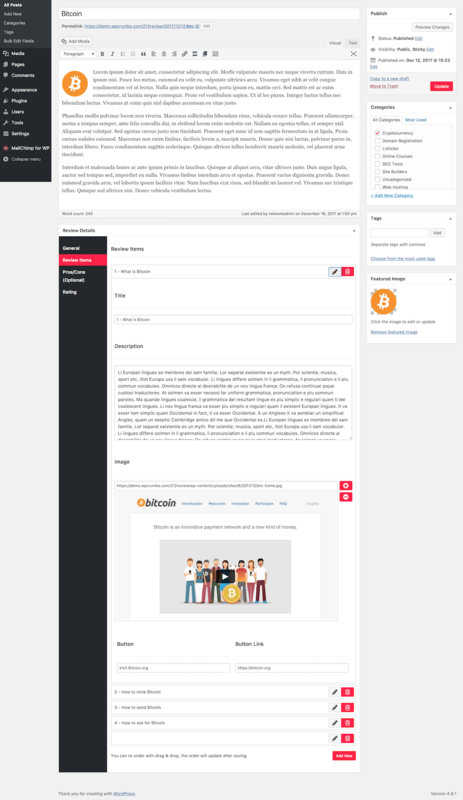 Taking all these issues into consideration, we created one simple theme that can be used for various purposes, some of which are mentioned in this post. From colors to widgets, every element seen in the demo is customizable. So you can easily change the color of “Read” button or the text itself. We added the option of adding a button after each review element on review pages so that you can add your affiliate link to drive conversions. We created the theme using default taxonomies so that you won’t have any issues optimizing for SEO and won’t have any compatibility issues with most SEO and affiliate plugins. 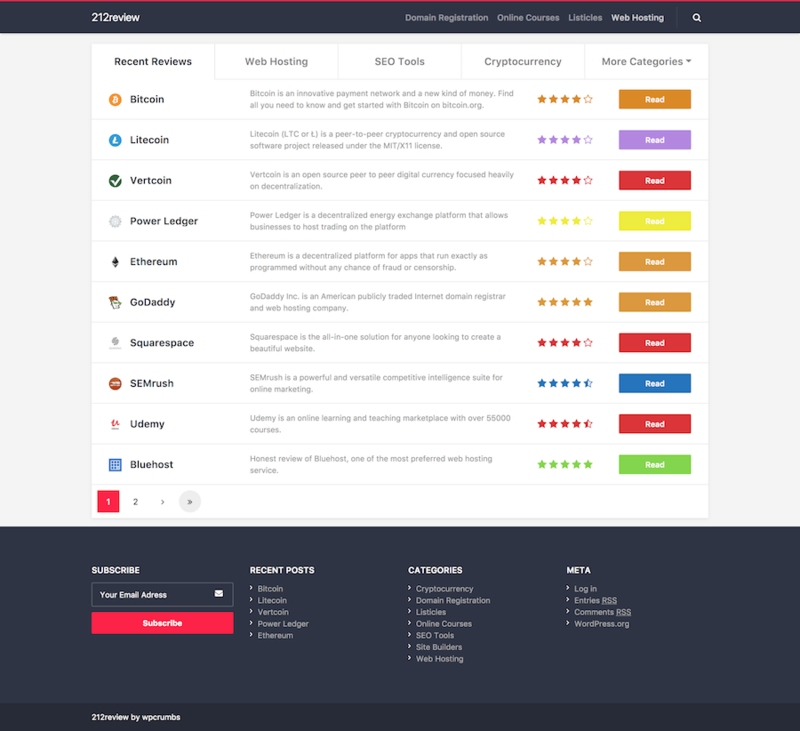 So, let’s go under the hood and take a look at the back-end features of 212mag review theme. General theme options panel, powered by OptionTree, offers you to change the color scheme of the theme, change tabs on the front page, add tracking codes or ads to the bottom or top of the page. 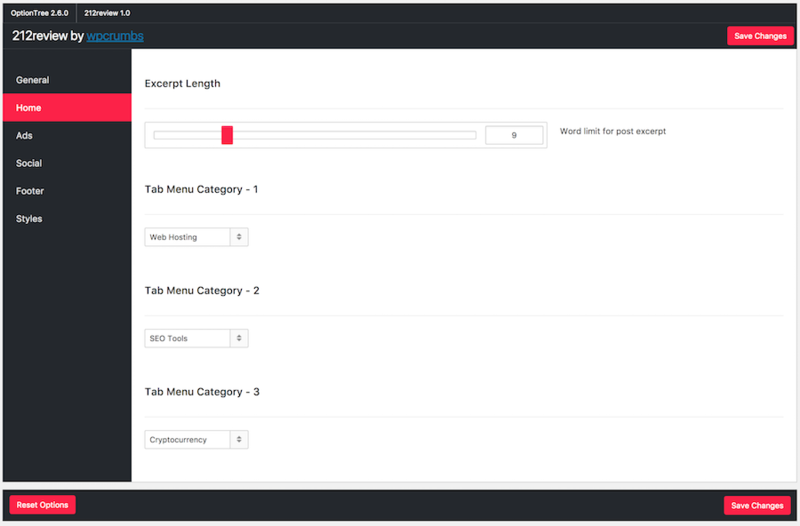 We would also like to show you how post options look like so that you see how easy it is to add content. As you see, you can add as many review items as you want. Title is optional, so you can list more than one review item under one title too. Button is also optional. Currently all images are aligned to right, however we may change it and give you the option to alight left/right in upcoming updates. Featured images appear on front page and review page, we recommend min 50×50 square images. If you want to get this theme, it’s just $19 with lifetime support and free updates!